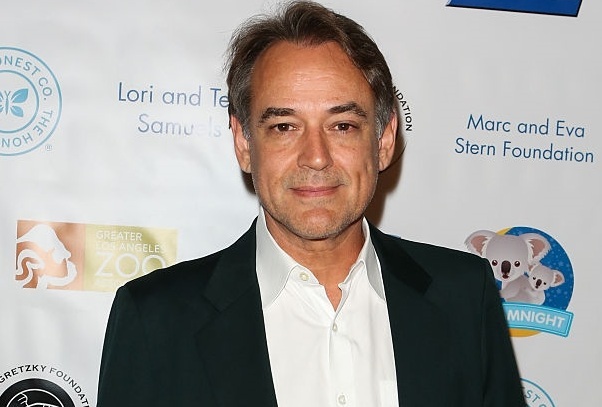 Emmy nominated General Hospital actor Jon Lindstrom recently dished to On Air On Soaps about his Port Charles renaissance, his budding on-screen romance with Laura, and more! Lindstrom expressed great joy at coming back to GH, which to him is like coming to a party full of dear old friends. “I have so many friends [at GH] and the crew, so it’s always like a party to me when I return to the show, Lindstrom said. While he had never worked with Genie Francis before, he has known her for over 20 years and had a great affection for her, he said. “Genie is so talented, and an actress of real depth. I’m having a great time,” Lindstrom said of their exciting storyline together. Laura recruited the cerebral Dr. Kevin Collins to help her crack the code of Helena Cassadine’s cryptic, menacing bequeath to her. In that process, they have grow attracted to each other, going on their first date earlier this week. They’ve also been held hostage on Cassadine Island, with Laura having to remove a bullet from Kevin’s shoulder after the psychotic Valentin Cassadine shot him! “Cady is a gifted director,” said Lindstrom. Lindstrom expressed pride in his wife’s behind-the-scenes achievements. He also said he had trouble not busting a gut when watching he perform her comedic YouTube videos about a character named Suzy F-----g Homemaker! Lindstrom joined GH in 1992 as the fan favorite Kevin Collins. He has appeared on GH on and off since then. Kevin, the brainy, kind psychiatrist had an epic romance flighty, fun-loving Lucy Coe (Lynn Herring).